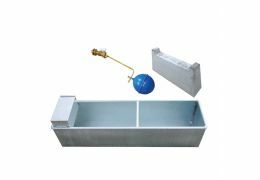 The JFC 12 Gallon Water Trough is fitted with 1/2" high pressure brass float valve (10L/min) which is protected within a plastic compartment to prevent tampering by animals. 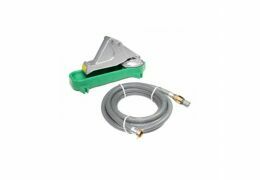 Manufactured from frost resistant polyethylene, it can easily stand the extremes of our climate and will offer a long lifespan. 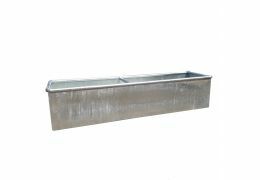 Thanks to the low profile and its small size it is particularly suited to young calves , it is easy to move around, keep clean and store in small spaces.